PRODUCT CENTER--Welcome to Ningbo Yaoyi stainless steel Co., Ltd. 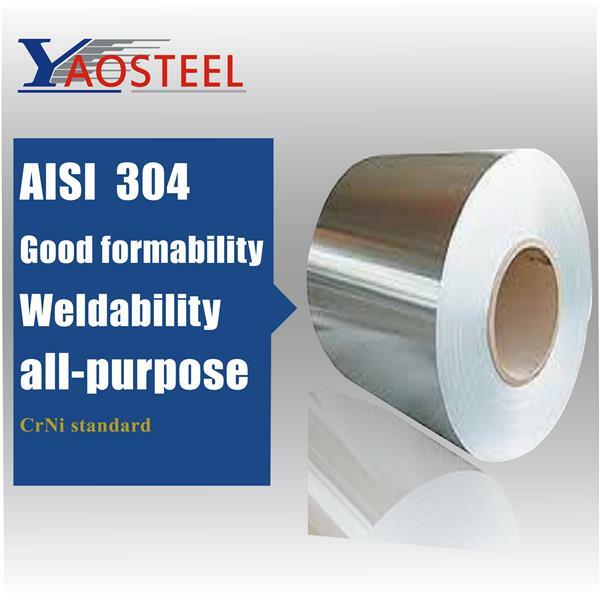 The major differences between 202 and 304 stainless steels are in the nickel and chromium contents. 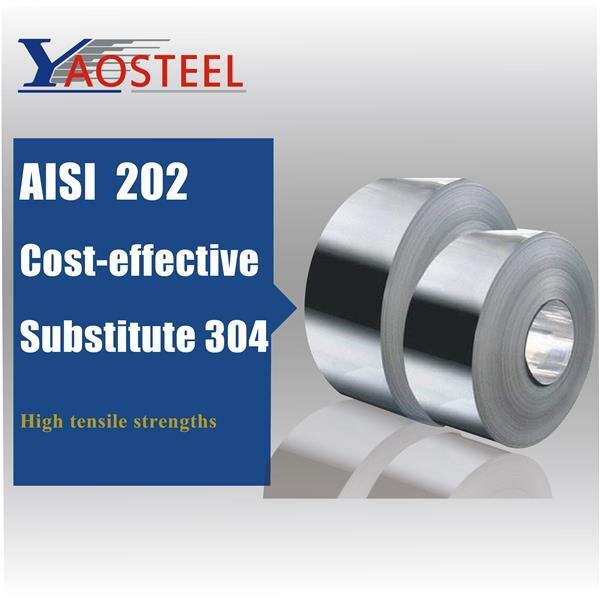 Type 201 have high tensile strengths.201 is a lower cost alternative to conventional Cr-Ni stainless steel such as 301, 304. 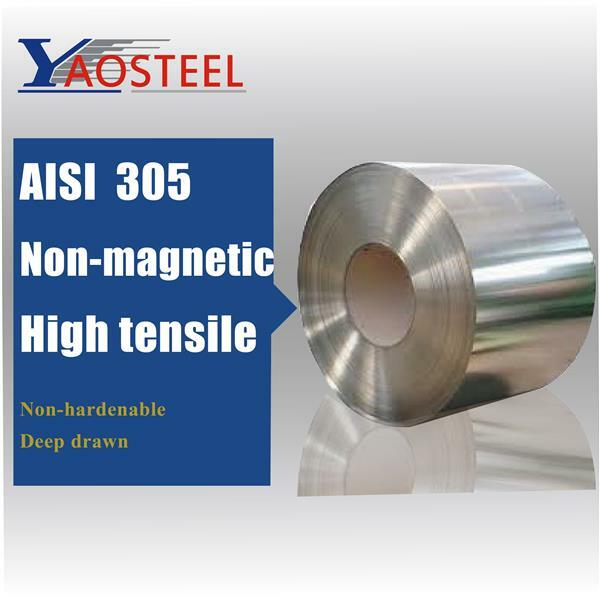 Type 201 is essentially nonmagnetic in the annealed condition and becomes magnetic when cold worked. 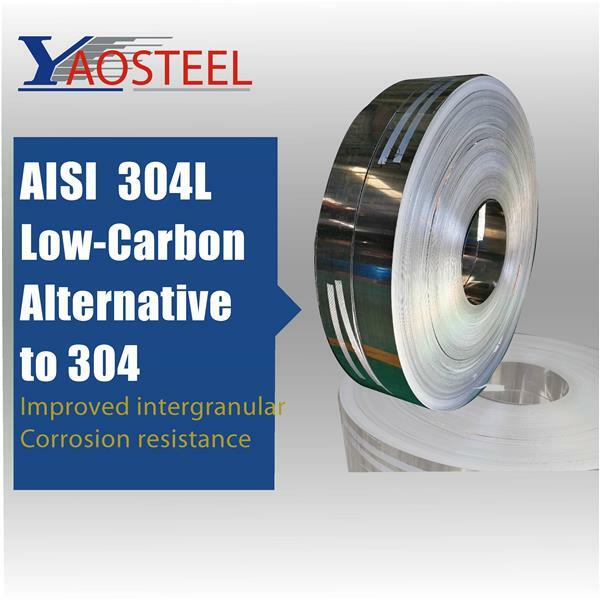 304 is used for a wide variety of home and commercial applications, which has a minimum of 18% chromium and 8% nickel. J4 is 50% stronger than 304 as well as 430! J4 also exhibits superior wear and abrasion resistance than 304/430. The main difference between J4 & 304 is the difference in their chemistries, especially the percentage of Ni. 304 contains a minimum of 8% Ni and J4 has a minimum of only 1% Ni. The chromium content is also slightly lower, but as seen from the PRE, this is compensated to a large extent by increased nitrogen. 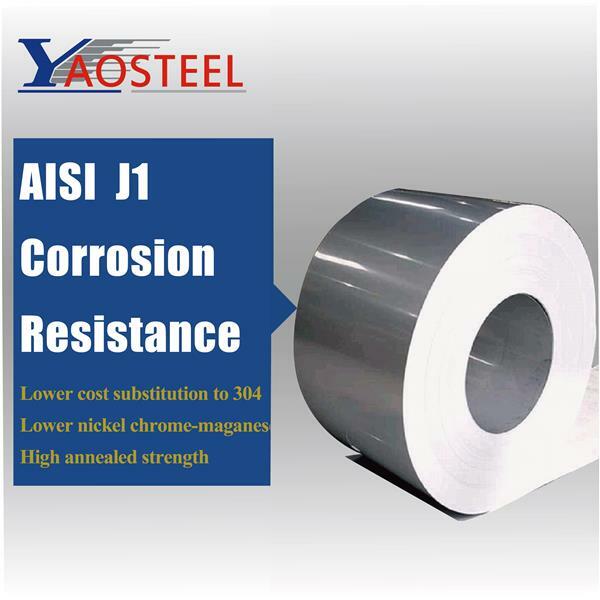 AUS(J1) is a low nickel chrome-manganese austenitic stainless steel. Modest amount of nitrogen added to this steel results in higher annealed strength than AISI-304. However, copper addition reduces work hardening rate to facilitate cold working/forming. 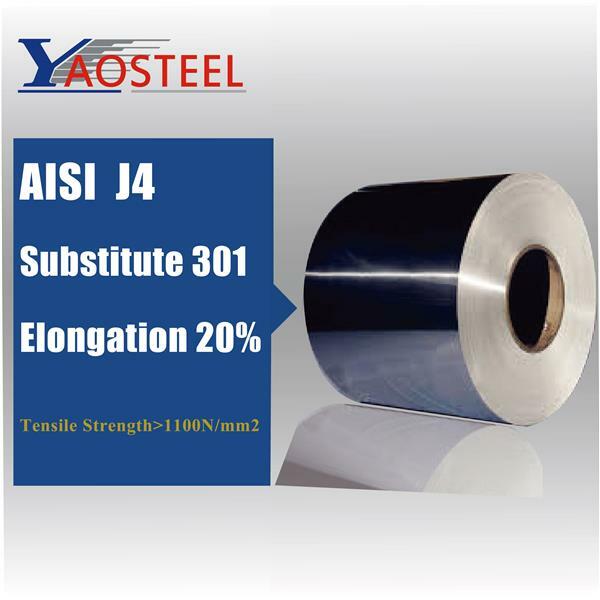 J1 is relatively economical compared to AISI- 304 having formability and weldability comparable to 304 with corrosion resistance superior to 430. 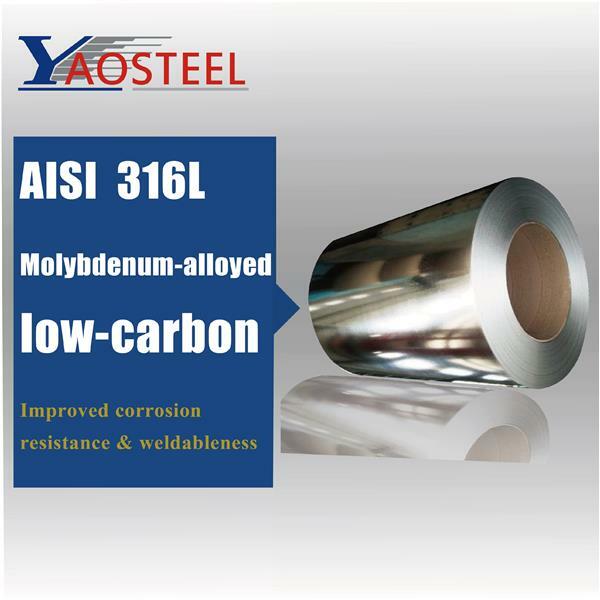 Alloy 316/316L is molybdenum-bearing austenitic stainless steel. The higher nickel and molybdenum content in this grade allows it to demonstrate better overall corrosion resistant properties than 304. 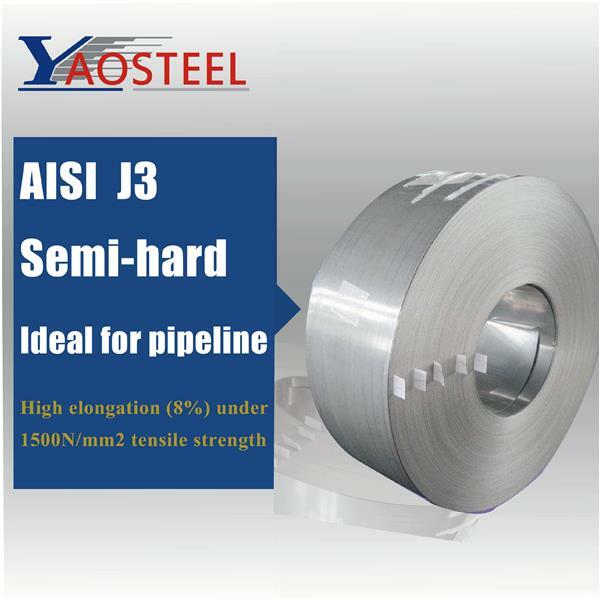 Y1 is a Hard state, austenitic stainless steel that is hardenable by heat treatment. Y1 has ultra-high tensile properties.The company independently researches and develops products. Stainless steel grade 301 is a commonly available austenitic stainless with good corrosion resistance and elevated carbon to allow for cold working to a variety of tempers. It can be obtained in the 1/4 hard, 1/2 hard, and full hard.The worlds first 301 stainless steel belt has a hardness of 610. 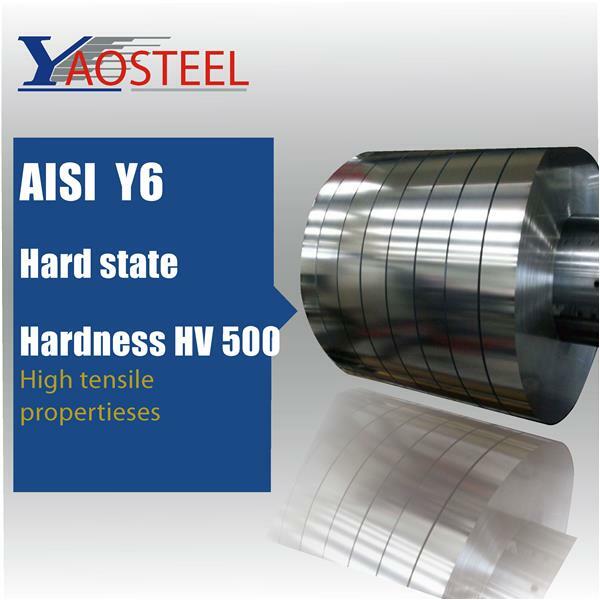 Y6 is a Hard state, austenitic stainless steel that is hardenable by heat treatment. Y6 has high tensile properties，Hardness HV intensity reaches 500.The company independently researches and develops products. 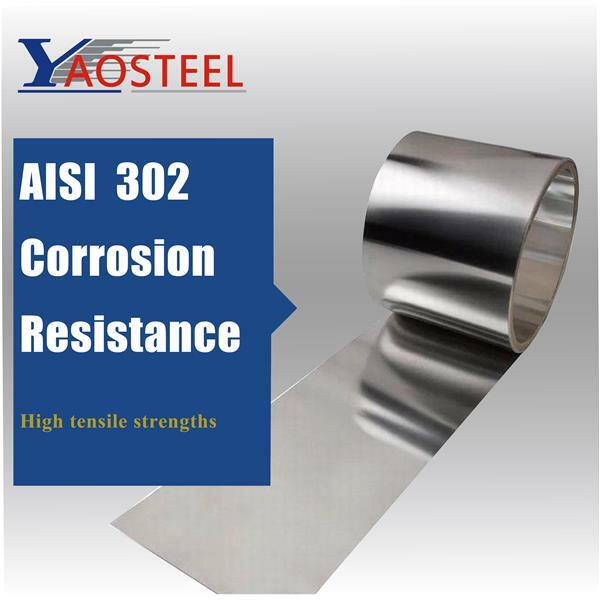 Type 302 is a variation of the 18% chromium / 8% nickel austenitic alloy, and a slightly higher carbon version of 304. 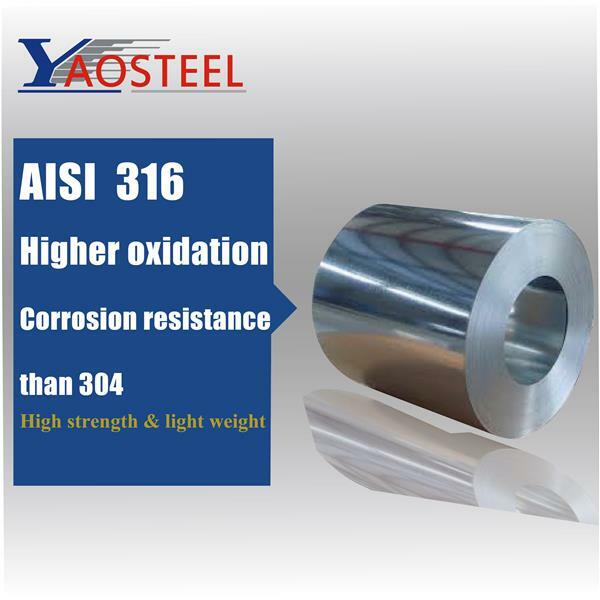 Type 316 and 316L are molybdenum-bearing austenitic stainless steels. These steels contain a higher percentage of nickel than 304. 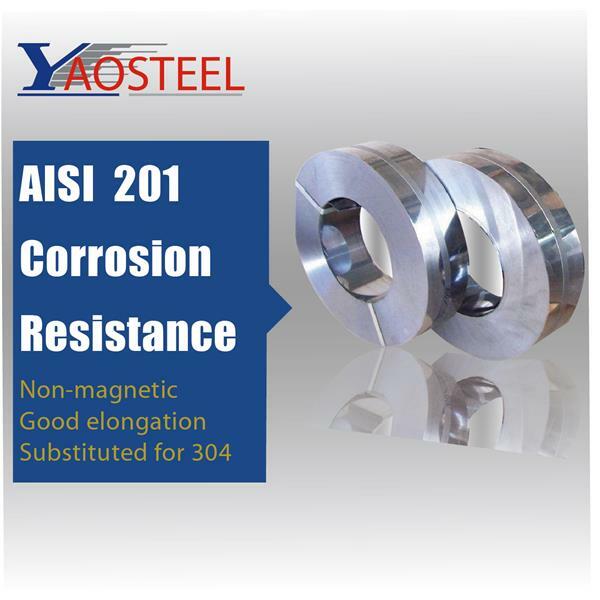 The resultant composition gives there steels much-improved corrosion resistance in many aggressive environments. The molybdenum addition ensures more resistance to pitting and crevice corrosion in chloride-containing media, sea water and chemical environments such as sulfuric acid compounds. 1. 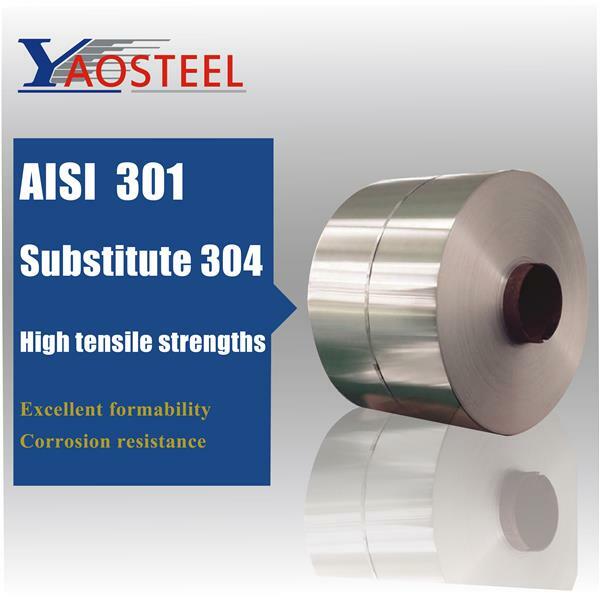 Type 305 Stainless Steel is an austenitic chromium nickel stainless steel that can be cold worked and deep drawn more readably than Type 302 and Type 304 due to an increased nickel content that decreases the work hardening rate of the material. 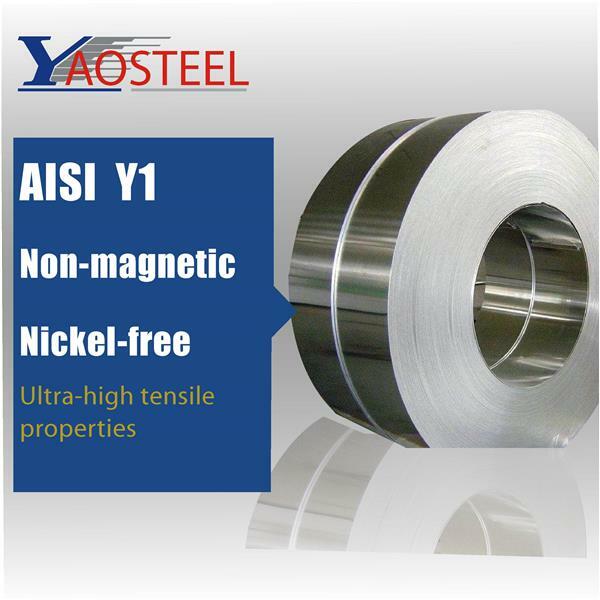 2.It is non-magnetic and cannot be hardened by thermal treatment. 3. 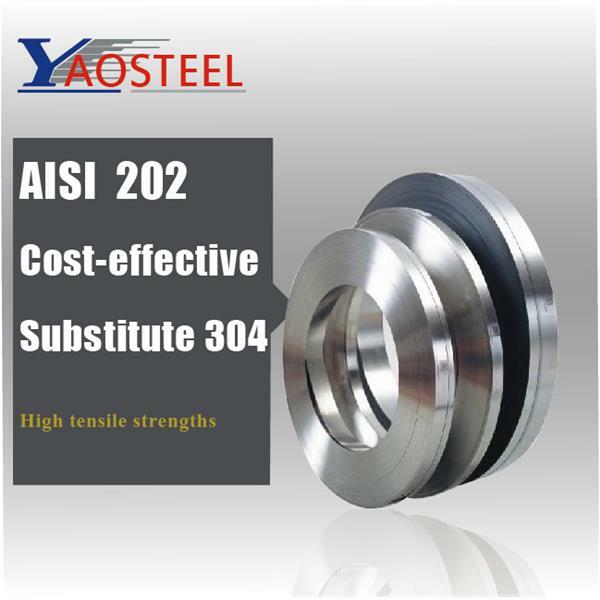 It is non-hardenable by thermal treatment, but may be cold worked to high tensile strengths. Copyright © Ningbo Yaoyi new material Co., Ltd.